My husband Bruce is a lobster fisherman. 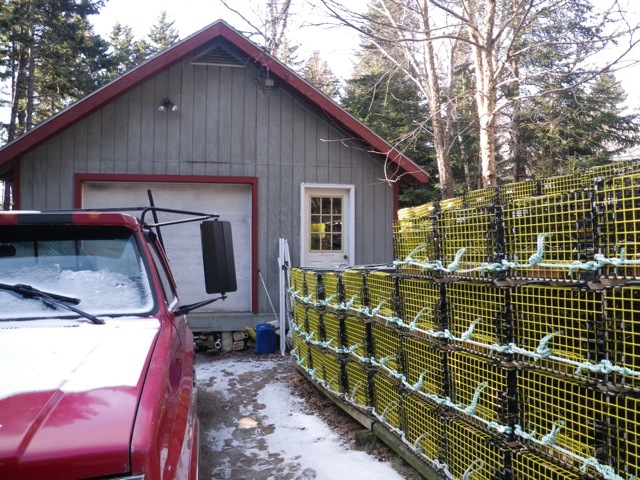 In the winter, he takes all 800 of his traps and buoys out of the water to repair and repaint. He also builds new traps to replace some that are too old and bedraggled to repair. 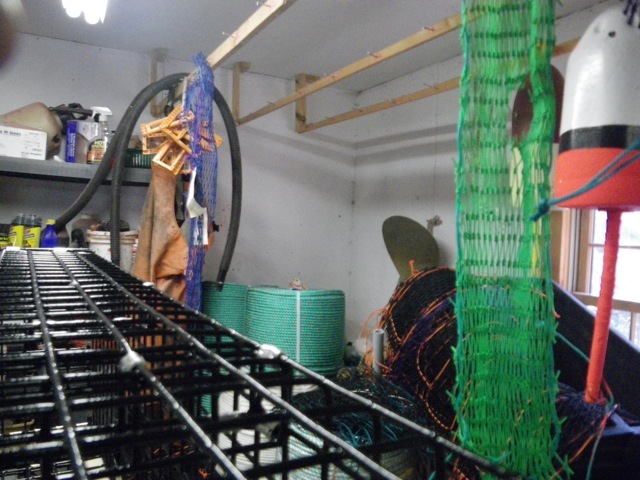 When this work is done, he will attend a few conferences in March, do some work on his boat (which is also hauled out for the winter) and then start all over again for the new season. I was hoping to get a shot of Flat Stella with a lobster, but the season for my easy access to these crustaceans falls between the end of March and the beginning of December. A visit to the shop was the next best thing. 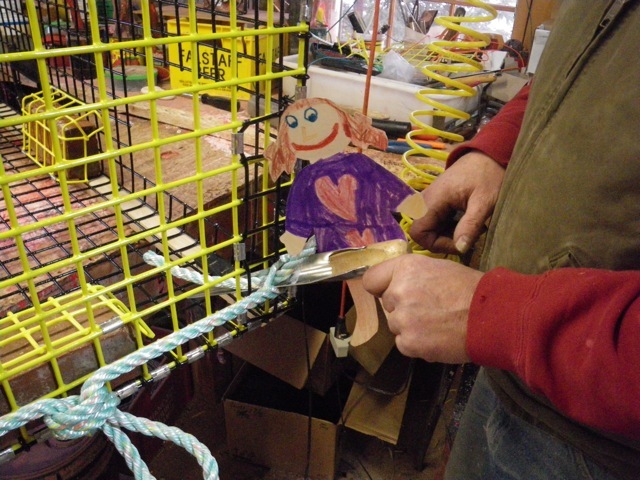 Stella is helping Bruce with the “fid;” a tool that helps him splice the ends of rope. 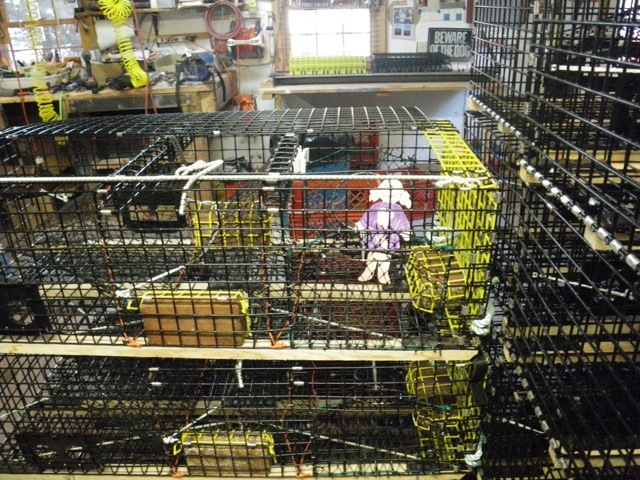 In this case he is attaching “bridles” to the end of the lobster trap. 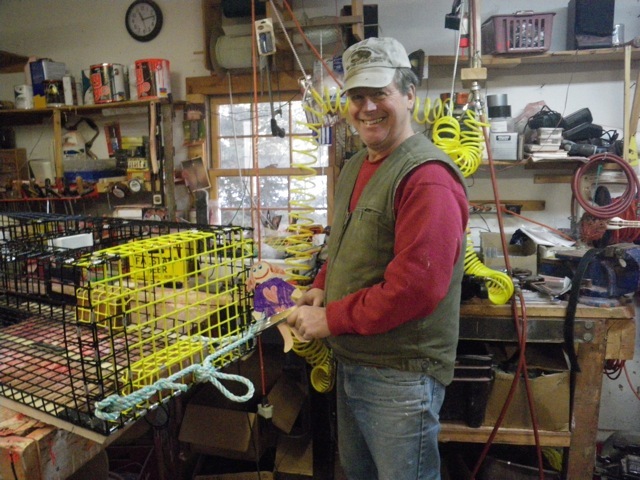 Before the traps are set, Bruce will attach the buoy line to the bridle. 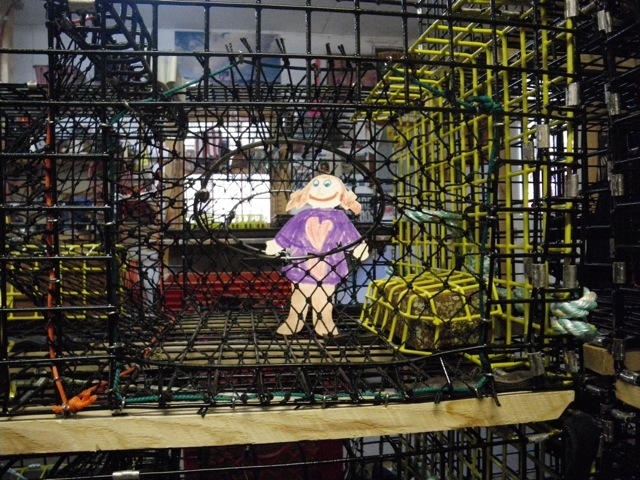 Stella checks out a pile of traps with bridles attached. 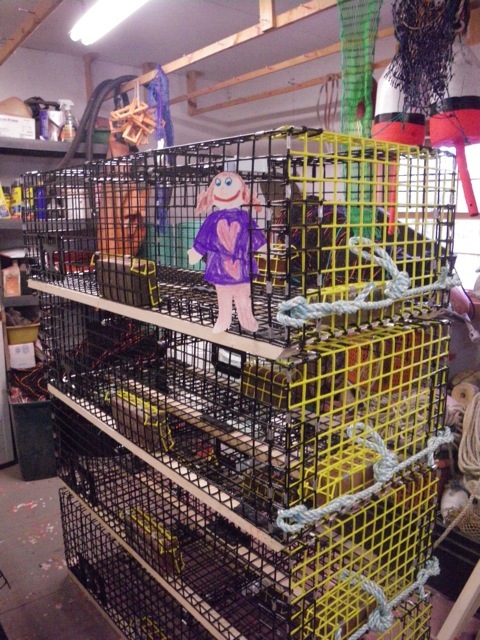 Bruce’s next step will be to install the interior pieces of the trap known as heads, where the lobsters crawl in and can’t get out. 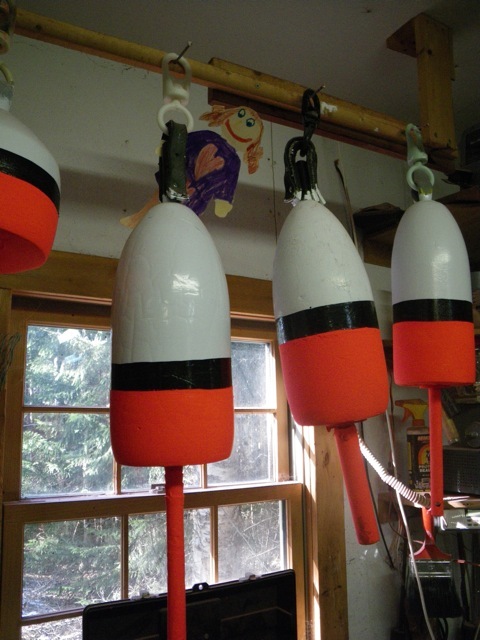 Too late to help with painting the buoys, but these are nice and shiny. And that’s it for Stella’s visit to the shop and to Islesford. Right now she’s enjoying some time in Oregon. Stella has got to be exhausted from her visit with you two! I swear, your Flat Stella posts give me the absolute giggles! I’m still surprised how short Stella’s visit was! Can she come back next summer (or the next….) and spend some time sterning for Bruce? She’d probably love to spend a couple of days on the water. Lucky Stella! What a fun day. Loved seeing Stella with Bruce in the shop!